Winter’s been tough. After Boston’s ill-fated pact with the devil, ensuring that the Patriots glided towards their umpteenth Superbowl victory, the forces above chose to punish us with one of the most brutal winters in recent memory. We received over 110 inches of snow fall, crushing all records before us and simultaneously pushing our dear city to the brink of insanity. Between multiple public transport failures, incessant school closing and the generally exhausting process of digging ourselves out, people were on edge. But now, the thaw of a warming Spring has given us hope that rebirth may indeed be possible! Here at In Steady Rotation, there was certainly a fair amount of SoundCloud digging and musical perusing. I listened to some interesting mixtapes, have been spending more time on NPR’s “Microphone Check“, and occasionally checking the blogs based on interesting Twitter posts. That’s all just a fancy way of saying: nothing much has changed in this neck of the woods. Even with everything that’s come across my plate, I want to dedicate this post exclusively to Mick Jenkins track “11”, released in late December. No, it’s not a mixtape, and it’s not even super recent. However, it’s been one of the most effective tracks at channeling the upheaval and the raw emotion of the black experience over the last year. In many ways, this song has been steadily rotated, and with each listen, I’ve grown more cognizant of its necessity for hip-hop culture and its personal catharsis for one of the most talented hip-hop artists in the game today: the one and only Mick Jenkins. 2014 was a watershed year in the American experience. After the unarmed shooting of Michael Brown in Ferguson, Missouri by Ferguson police officers, and the subsequent death of Eric Garner in Staten Island after police choked him for 15 seconds, the American public seemed to explode. Marches and rallies took place across the country, protestors raising their arms in solidarity with the countless numbers of black Americans that are harassed by police on a daily basis. Killer Mike broke out in tears at a performance of Run the Jewels in St. Louis, Missouri. In February, the director of the Federal Bureau of Intelligence (FBI), James Comey, delivered a genuinely honest speech outlining the moral imperative that law enforcement officials and all Americans possess in addressing our racial injustices. All of this transpiring during the second term of America’s first African-American president, demonstrating the painful fissures that continue to plague the United States even in 2015. Mick Jenkins responded to the Eric Garner tragedy by releasing “11”. Even after a few listens, it’s hard to ignore the searing pain that Jenkins channels through his lyrics, transforming his music from rap song into heart-wrenching confession. The song begins with haunting production that can be felt reverberating throughout the pews of an empty, lonesome cathedral. The echoey hymns of choral singers, church bells, organ chords, and fading orchestral paint a spiritual and holy atmosphere. Jenkins starts in slow with his initial bars, delivering them in a cool, calm and collect flow that borders on the spoken word. He seems intent on explaining his own place in American society, attempting to outline the root of his identity in a country that doesn’t quite accept him but still represents his native home. Interlaced with this idea is a place that is growing increasingly overrun with technology and its malicious effects on the day-to-day experiences of African-Americans. That near tranquil tone is abruptly shattered as Jenkins’ explodes over the first snare drums. All pretense is discarded as Jenkins’ plunges headfirst into his pain, deeper into what is the world he inhabits, one that is filled with injustice, exploitation, hypocrisy and ignorance. Beyond simply discussing the relationship between police officers and young men of color, Jenkins’ explores the place that hip-hop occupies in our national imagination. There is no denying that hip-hop culture has grown to be at once both coveted and admonished. In many ways its commercialization has both uplifted the black experience into financial legitimacy while simultaneously crushing it beneath the weight of stereotypes. The African-American experience is in one breath seen as the key to coolness and respect, while in another still associated with near endemic levels of police repression, economic inequality and societal discrimination. Jenkins’ poignantly notes that “the colorblind only seem to see the black and white”, and proceeds to point out that the written discrimination of yesterday, has since transformed into the more abstract prejudices of today. The implicit biases that are so ubiquitous only serve to demonstrate that racism and prejudices continue to be central to the American experience. The song ends with the homage to its title, with Jenkins repeating “I can’t breathe” eleven times, exactly as Eric Garner did prior to his death. The song fades out as it began, with the eery echoes of the somber chorus and church bells. Throughout the bulk of the song, Jenkins spits to the point of exasperation, as if he were attempting to gasp for his own air as he struggles with the weight of his convictions and the pain of his surroundings. Hailing from the South side of Chicago, he has plenty of other tracks from his mixtape “The Water[s]” that narrate the blight of his upbringing, but none that hit so hard such as “11”. 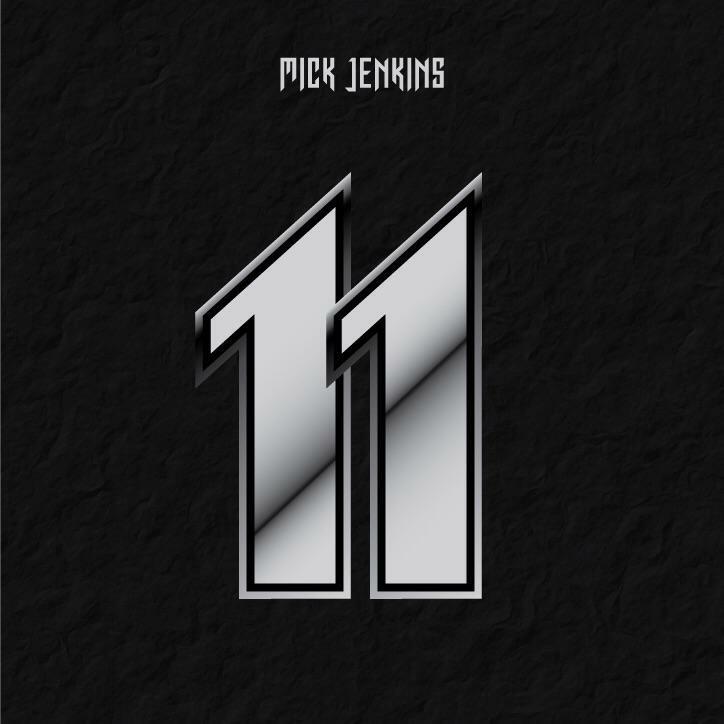 The rawness, the anger, the frustration, the sheer exhaustion; it’s all expertly and poetically expressed by Mick Jenkins on “11”. Listen to it today and be sure to share the track with those that should hear it.